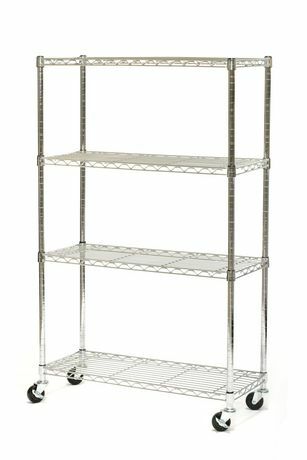 Organize your home, office, warehouse and more with the Seville Classics Heavy-Duty 4-Tier Steel Wire Shelving System. 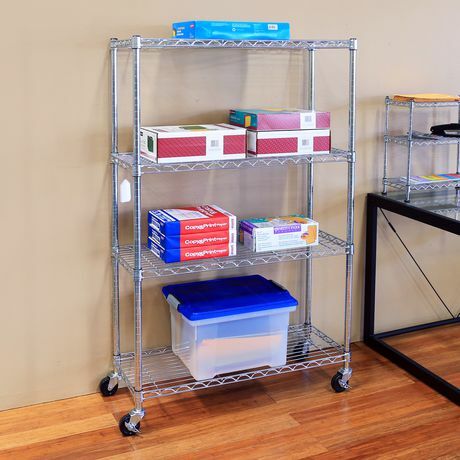 Organize your home, office, warehouse and more with the Seville Classics Heavy-Duty 4-Tier Steel Wire Shelving System. 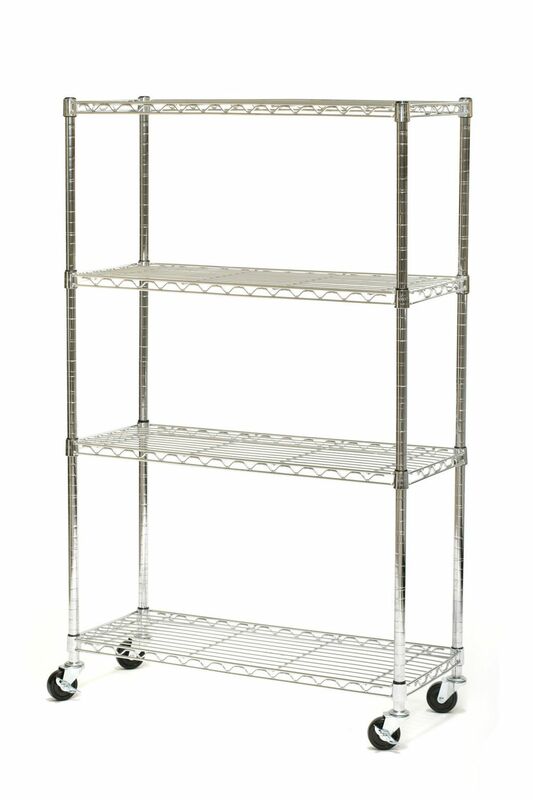 This 4-tier wire shelving system is made from heavy-duty, zinc-plated steel, each of which can hold up to 350 Pound. evenly distributed while on adjustable leveling feet and 100 Pound. on three-inch wheels. The adjustable wire shelving system can be easily adjusted at one-inch intervals and can interlock with multiple, similar-sized Seville Classic branded shelving for your convenience. This shelf is constructed of steel wire and plated with our Ultra Zinc Finish which provides a soft bright metallic finish (similar to chrome). The zinc plating process is better for the environment (compared to chrome plating). fewer harmful chemicals are used in the zinc plating process. Another benefit of our Ultra Zinc plating is the durability of this finish, having passed all required lab testing, this item is backed by a 2 year limited warranty. It is compactly designed to fit anywhere in your home, making a great choice for smaller homes. Easy to maintain, this heavy-duty wire shelving system is NSF listed for commercial use. This unit measures 14-Inch by 36-Inch and 54-Inch (57-Inch with wheels).